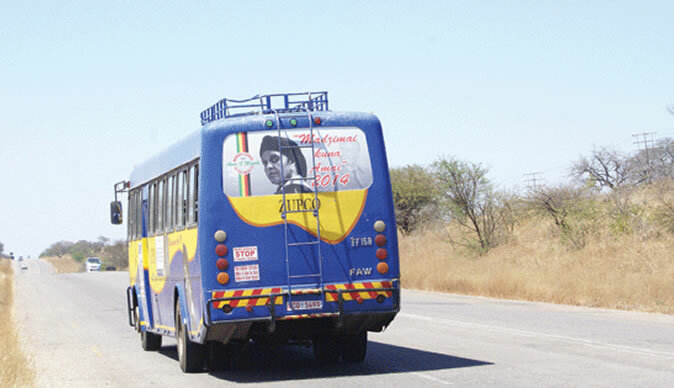 STATE-OWNED bus operator, Zupco has partnered with private public transport operators in a mass transportation exercise to ease urban transport woes, which spiked last week following a massive hike of bus fares by privately-operated commuter omnibuses as a result of a 150% fuel price hike. Thousands of commuters were left stranded on Friday, as they could not afford the steep fares charged by kombi operators plying most city roads, prompting government to re-introduce a heavily-subsidised urban mass transport system. Transport and Infrastructural Development deputy minister Fortune Chasi told NewsDay yesterday that the private conventional bus operators would be fuelling at Zupco depots. "Enough buses have been made available to cover all urban routes as of tomorrow (today), where they will be provided with fuel by Zupco and in the long run, from dedicated fuel service providers," he said. Chasi did not disclose the number of buses or operators who have partnered with the ailing parastatal or the number of Zupco buses, whose ageing fleet is depleted, that will complement the private players. He said besides being cheap, the new system was reliable, safe and efficient. "I would like to inform the general public that in the interest of public safety and well-being, government has introduced the new bus service in urban areas so as to ensure cheap and efficient service, while at the same time safeguarding them from imminent danger as well as unfair charging systems that were constantly introduced by private commuter operators," he said. Under the new system, commuters would pay fares ranging from $1 to $2 depending on the distance from town. Government has, in the past, made similar promises, but failed to sustain because of Zupco's depleted fleet. Tshova Mubaiwa Association chairperson Atlas Moyo welcomed the competition. "We are not afraid of the competition, let them introduce the buses, but where will they get the capacity. If they charge $1, we will also reduce our charges," he said. "We competed with Zupco before when we were using Peugeot vehicles, Zupco went out of the road, unless if this was another company from outside the country." Chairman of the Bulawayo-based Express Private Car Commuter Services, Mpikelelo Khumalo, told NewsDay in an interview that government should find lasting solutions to the fuel crisis to ease transport problems. "We have 200 fleet of vehicles servicing National University of Science and Technology, Masiyephambili and Khumalo routes, to mention a few. Only five vehicles are on the road, the rest are out of the roads due to fuel shortages. The government must come up with solutions to either get rid of the bond notes or bring hard currency and it is up to it to decide where it can get the money," Khumalo said. Most service stations across the country have been dry, with long fuel queues resurfacing in Harare, Bulawayo and other urban areas despite the massive hike in fuel prices.